Pinkhouse Handworks has a beautiful selection of Montessori baby toys perfect for early childhood development. Our favorite item from this lovely Etsy shop is the wintery blue soft circular rattler and teething ring. 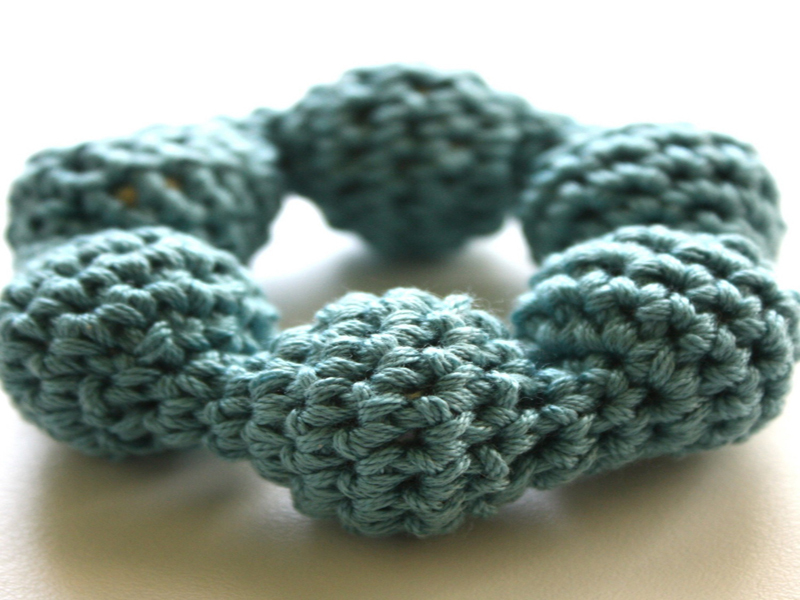 This beautiful teether makes a soft, lovely ring from the jingle bells securely crocheted inside. This teether is easy to clean just simply toss it into the washer and dryer whenever necessary. With it’s beautiful design and color, this lovely teether could become a lovely family heirloom too! Pinkhouse Handworks has a beautiful selection of Montessori baby toys perfect for early childhood development. Our favorite item from this lovely Etsy shop is the wintery blue soft circular rattler and teething ring.� This beautiful teether makes a soft, lovely ring from the jingle bells securely crocheted inside. This teether is easy to clean �just simply toss it into the washer and dryer whenever necessary. With it's beautiful design and color, this lovely teether could become a lovely family heirloom too!